Amazon.com description: Product Description: This book covers the basics of PHP and MySQL along with introductions to advanced topics including object-oriented programming and how to build Web sites that incorporate authentication and security. After you complete this course, you will be able to use PHP and MySQL to build professional quality, database-driven Web sites. With Robert Easterbrooks, Diana Kokoska | 2 edition from Course Technology Ptr (January 12, 2010); titled "PHP Programming with MYSQL: Php Programming With Mysql"
About: This book covers the basics of PHP and MySQL along with introductions to advanced topics including object-oriented programming and how to build Web sites that incorporate authentication and security. 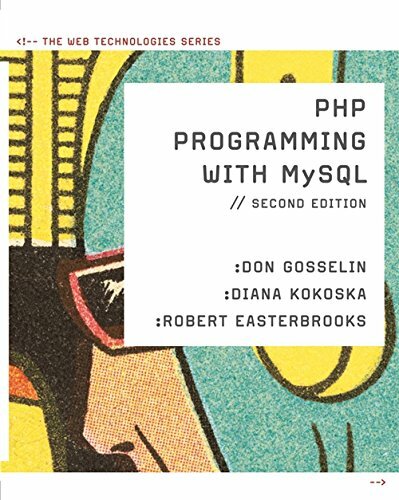 About: PHP Programming with MySQL, by Don Gosselin is the first true academic textbook in the market to combine PHP with MySQL.